BANDAI NAMCO Entertainment Europe is excited to announce three new playable fighters for TEKKEN 7 at the TEKKEN World Tour 2018 Finals in Amsterdam. 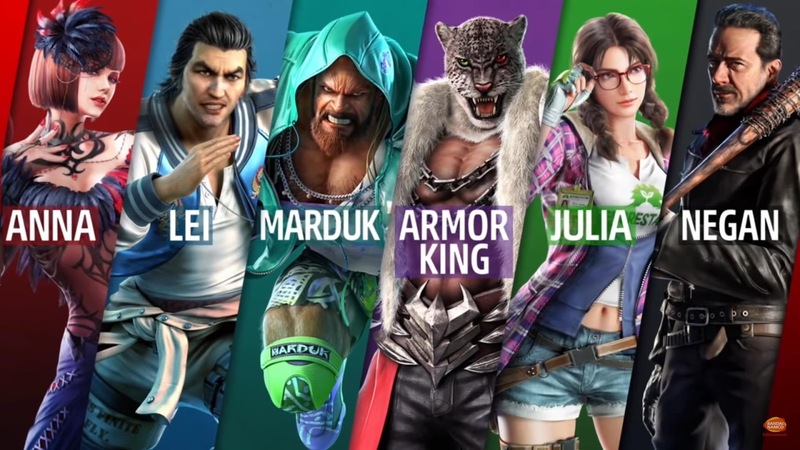 Vale Tudo expert Craig Marduk, wrestler Armor King, and skilled martial artist Julia Chang have all been unveiled as part of the Season 2 content for TEKKEN 7. Further information about the characters is below. Both Marduk and Armor King are playable today for Season Pass 2 owners, or can be downloaded separately in packs DLC6 and DLC7. They will be joined by Julia and, previously announced Negan from AMC’s The Walking Dead at a future date. In TEKKEN 7, all fights are personal! Prepare to enter the ring as TEKKEN 7 is available for the PlayStation®4, Xbox One, and STEAM® for PC. To find out more about TEKKEN 7, please head over to the official website.